Pre-engineered to accept the entire series of Siemens Starters (type AAA21240AD) sold through UNITEC. 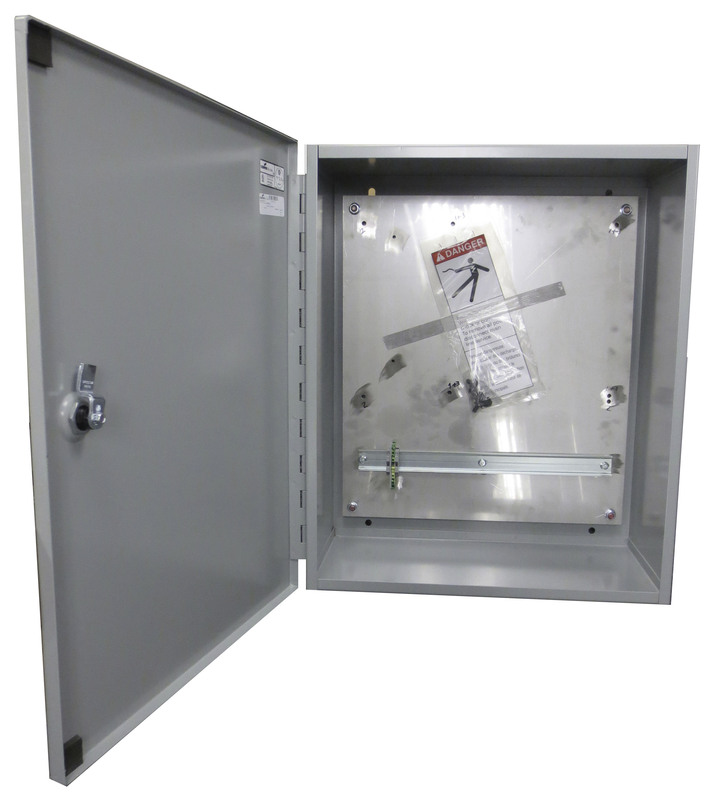 Each enclosure comes with an industry standrard moisture resistant UL listed & CSA box along with a pre-engineered backplate with tapped holes, DIN rail for terminal block mounting, ground wire, single terminal block, and starter mounting bolts to fit holes in backplate. Box Measures: 24″ Tall x 20″ Wide x 10-3/4″ Deep. Painted Gray.